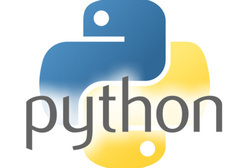 KR network cloud provide Classroom PythonTraining by Python Experts FreeDemo Class. 100% Job Guarantee placement facility.online and offline both courses available. We are best institute in kolhapur for python training classes and provides best python programming training courses in Kolhapur. Database Access, Networking, GUI Programming, Modules, XML Processing. Data Science project and training with the certified trainer. Python is a widely used general-purpose, high-level programming language.Python supports multiple programming paradigms, including object-oriented, imperative and functional programming or procedural styles.